Need an easy and healthy weeknight dinner? 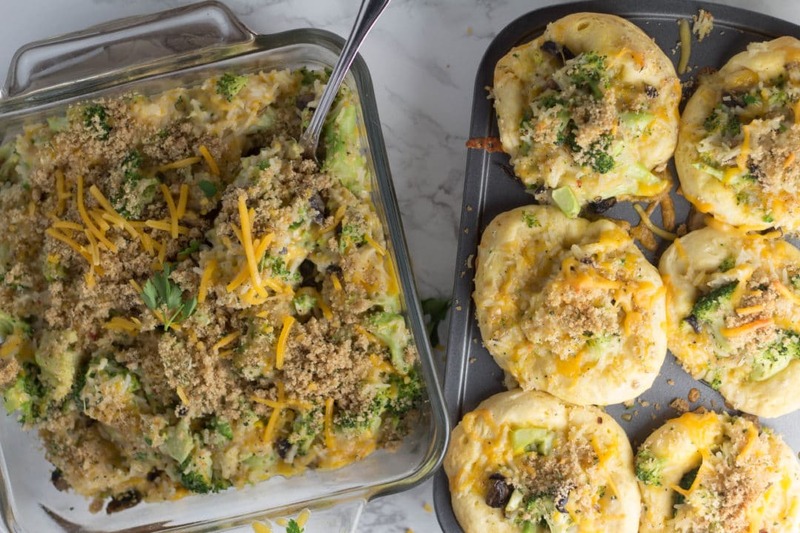 These cheesy broccoli rice cups will do the trick! Going low carb? Ditch the biscuit & eat as a casserole! One of the hardest things for many of us is putting a quality meal on the table during the week. Rushing home from work, maybe having to go grocery shopping, taking kids to different sporting events or practices…whatever it is, we are all busy! This dinner makes things easy especially if you prep the rice ahead of time. It is one of those “mix everything in a bowl and pour it in a pan” type meals. Which is awesome. 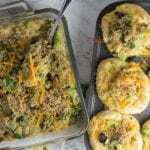 PS – there will be leftover filling to make an extra casserole if you are not feeling like having it in a biscuit! Kid-friendly, fun to make, and tasty! 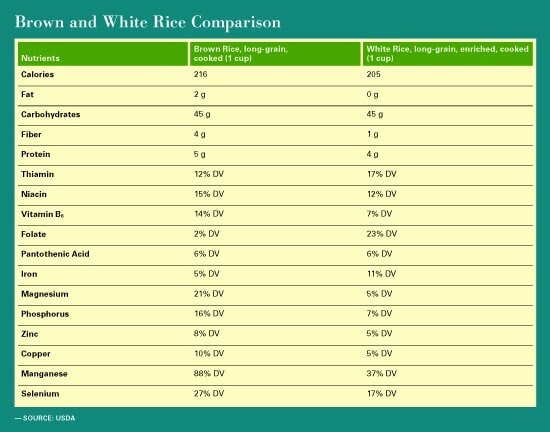 Preheat oven to 350 degrees F. Cook the rice according to package (cook with chicken broth for more flavor). Meanwhile, mix all of the ingredients - expect the breadcrumb topping - together. Once rice is done, add into the broccoli cheese mixture and stir together well. Bake in oven for 20 minutes and enjoy warm! **I chopped my mushrooms and cooked them with about 1 Tbsp. olive oil for 3 minutes. Yum! 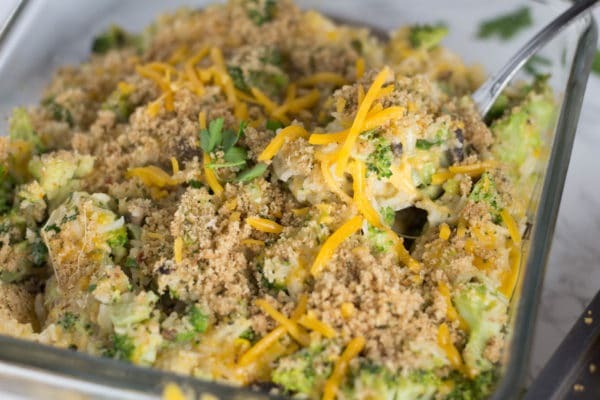 This is a great take on the popular broccoli cheese casserole- perfect for Thanksgiving! Love that idea! Thank you Sonali!